Apartment Most central luxury apartment in Chester! It was perfect all round location parking appartment directions postcodes spot on. The wonderful welcoming atmosphere and cleanliness. Good spacious and comfy Beds. Everything to make our stay more than conforable and enjoyable. Exceeded Our expectations. Will ecommend. Very central, clean with comfortable beds and well equipped. excellent. A nice open spacious apartment with a well equipped kitchen & spacious bedroom. The central heating was easy to operate and there was plenty of hot water. 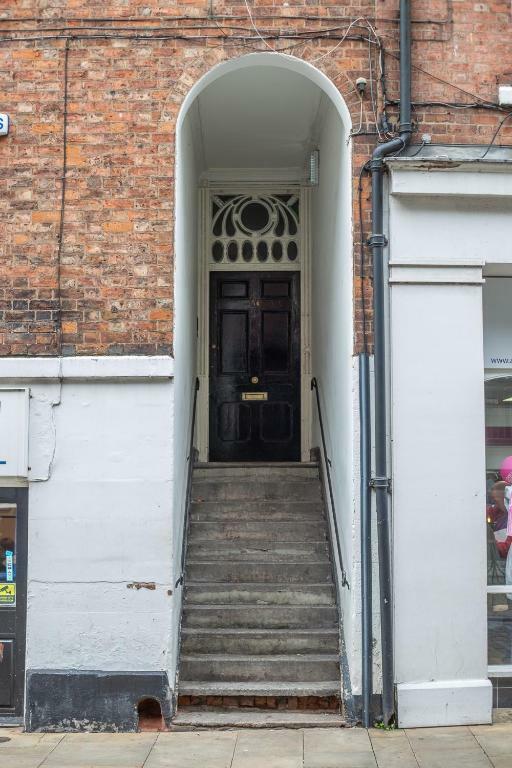 The apartment is centrally located and exits on to Watergate Street from which a wide variety of shops, restaurants and bars can be accessed. Chocolates were a lovely touch, great artwork. Very clean & a few handy items in the kitchen. Very central location in pedestrian zone. Very generous sized master bedroom and large open plan living/dining/kitchen. Lock in a great price for Most central luxury apartment in Chester! – rated 9.7 by recent guests! One of our top picks in Chester.Located in Chester, a 13-minute walk from Chester Racecourse, Most central luxury apartment in Chester! has a living room with a flat-screen TV. Guests staying at this apartment can use the free WiFi and a fully equipped kitchen. This apartment with city views has a bathroom with a shower. 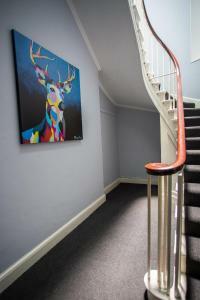 Chester Zoo is 3.1 miles from the apartment, while Guildhall, Chester is a 2-minute walk away. The nearest airport is Liverpool John Lennon Airport, 25 miles from the property. 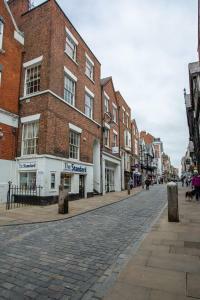 This property also has one of the top-rated locations in Chester! Guests are happier about it compared to other properties in the area. This property is also rated for the best value in Chester! Guests are getting more for their money when compared to other properties in this city. 뀐 Located in the real heart of Chester, this property has an excellent location score of 9.8! When would you like to stay at Most central luxury apartment in Chester!? 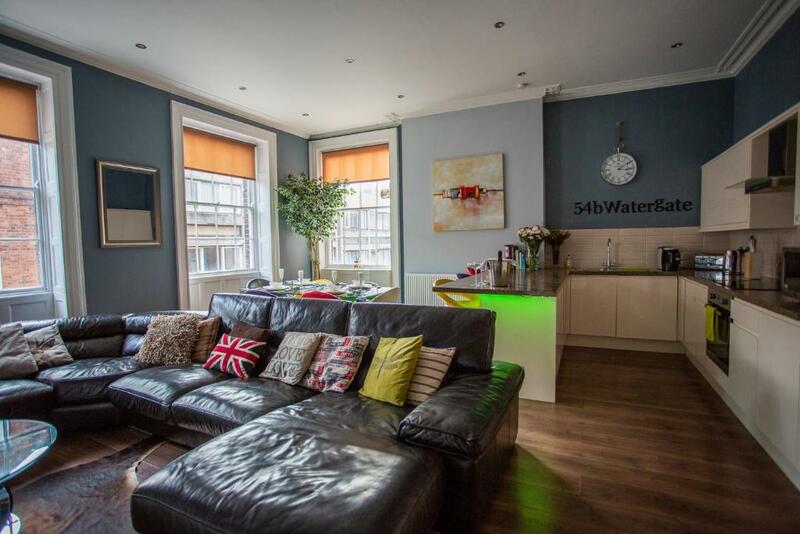 This fabulous 2 bed apartment @54bwatergate is located on one of Chester's most central streets. A romantic getaway for those magic moments! A 2 min walk to The Cross, 4 min walk to the racecourse and surrounded by Chester's vast selection of boutique shops, restaurants & bars make this the most central Air b-n-b in Chester. By the way, you'll also enjoy a dedicated on site parking space, park it and forget about it as you won't need the car! This sensational space is warm, historic & wonderful experience! As residents of Chester we're excited to offer our amazing apartment centrally situated on the historic Watergate Street giving visitors the real Cestrian experience! Probably one of England's finest pedestrianised streets full of historic and ancient buildings. House Rules Most central luxury apartment in Chester! takes special requests – add in the next step! See all guest reviews for Most central luxury apartment in Chester! Newest Reviews for Most central luxury apartment in Chester! The beds were far to soft and small unfortunately.The noice from pub revellers in the street very noisy from 12 midnight until 2am so loud it sounded like they were in the lounge even with the internal doors were closed. The location.And secure car parking. It was lovely and we liked it all. Minor problems parking at the rear but always sorted out. The apartment was generally very clean although there was discarded packaging from sanitary products in the bedside drawer unit. The steps from the street are not kept clean. The parking space at the rear is frequently blocked in by other cars parking behind you and it is pitch black at night so didn't feel secure. There was no iPod dock or music system which had not been replaced after previously becoming broken whilst a number of light bulbs on the kitchen units were blown. The windows are single glazed so noise from the street such as late night revellers or street cleaning is obvious. Toilet roll holder rather low. A bit noisy but expected as in town centre. Second bedroom is barely big enough for a double and bathroom small for 4 people sharing. Location was at the heart of Chester but with this cane noise during the night. Perfect mattress, well-equipped kitchen, spotlessly clean throughout, gorgeous windows! Recommended.